Whoever submits himself to a super-discipline can expect great triumphs. I think that she did well, don’t you? If so, please visit her site and give her a thumbs up! Thanks, Mary, for teaching us through example about discipline and patience! Well done! 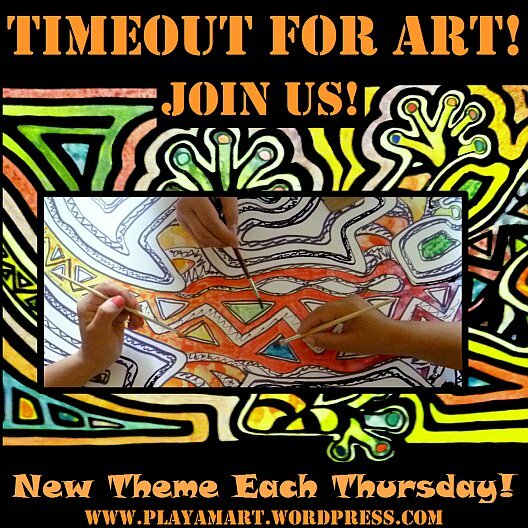 For those of you pondering, “Should I take a timeout for art, see the post that kicked off the series: Timeout for Art YOU CAN DO THIS!!! I’ve followed Mary and think her beautiful drawing is full of feeling and compassion. yes, we see details that we’d not notice if we just snapped the image w/a camera! thanks, patti! it’s my honor to present mary’s work and share the tale of her amazing patience! I know, I can’t even imagine having her (and your) talent! it’s whatever one loves, and we both get comfort from drawing and painting… if you enjoyed drawing, you could master it as well!!! Great post! And I especially like Balzac’s comment: Discipline makes art of impulse. thanks hugh! i tried for two days to comment on your last post, and the internet does NOT want to connect. it says, ‘sorry; your request isn’t possible right now’ or something silly like that from wp! That’s not just you. I’ve been suffering from the same “Your comment cannot be posted” foolishness all morning, and I’m running on broadband. It’s some sort of WP glitch. I’ve got a question in the forums about it right now. If I find out anything, I’ll let you know. And it only happens on certain posts. I’m wondering if it might be theme related. In the meantime, I’m doing a ctrl+c on every comment when this message starts popping up again. I’ve found if I copy my comment, then refresh the page, I can repost it without problems. hey! thanks for this feedback! and to think that i was most likely cursing my internet provider at that moment! it’s ultra slow again today, and i’m looking at the two options via claro or movistar cell phone service with the thumb-drive modem. sigh. i think instead i will take the magic carpet for a spin and come see all of you in person!!! Inspiring and humbling. Thanks for sharing this. i’m behind on your and on ron’s posts and look forward to the cuban stories! internet’s dragging! Dearest Lisa, thank you so much for this beautiful post – you brought tears to my eyes. It’s a wonderful way to start my day, if it wasn’t for your challenge my pencils would still be in their pretty case not seeing the light of day! So thank you, your motivation to get back at it propelled me. Today I begin my next drawing challenge. Thank you – Winslow had it right! I’m the one that is honored for your wonderful gesture, thank you Lisa – it was one of the most thoughtful posts I’ve read. Thank you for the time and energy you put into putting this post together. You are an amazing amiga (how about that?!)! amiga! i’m not different than anyone else just trying to be positive, not let others pull me down, and trying to add a smile to the quality of my day. you do that as well, even when you have lots on your plate, you still have time for others! thank you! Unbelievable! I am inspired and impressed! that’s great! she impressed me as well! what patience and dedication! It was an honor to work with the evolution of mary’s drawing. we’ve all learned a lot from her dedication and patience! Very impressive! Thank you for sharing these images…I’m heading over to her site right now! Simply wonderful! The quotes, seeing the evolution week by week. And a lesson in patience. Thanks for posting this. thank you! mary is so talented, and i’m glad you enjoyed watching the evolution of her work! Mary’s work is lovely, Lisa. Thanks for highlighting it this week. My post for today comes at the request of my niece, who wanted to see the photos and pencil drawing for a picture I posted last Friday. I too love Mary’s work. A lovely post. thanks! and to think that she sometimes has self doubt! ha! her work stands strong always! as does yours, btw! I love this…how difficult it must be to discipline yourself to stop and go at this rate. i would have a hard time stopping each week! on my first post, i mentioned stopping for just half an hour and spending time with art, with drawing, even circles and shading.. just the soothing act of drawing is amazing… and she did it – week after week after week! I going to try this 30 minutes with my paintings and go, sometimes we artists ruin something because we go on instead of resting like the oak tree, that is why I took the pictures of the tree today. doris, that is such a beautiful comment! yes, we need to rest like the oak tree! What wonderful patience and discipline and how lovely to see the drawing emerge over time. I find it so hard to stop once I am motivated/activated. ha@! i do as well.. it’s two in the morning here, and i just stopped work on the compass.. when it’s going well, it’s so very hard to stop..my body says stop, but my mind is still in the ‘circle’ and wishing i could resume..
i’m going to put the images on the computer and go to sleep! i just took a look at that post w/the cookies. yum.. what a great treat that would be before i go to sleep! how’s ‘tomorrow’ going over there?!!!! It’s looking good 🙂 Sleep well. I was up till 2 in the morning after my mad night in the kitchen! What talent. Patience, practice and preserverence. thank you! if only all posts were so easy to design! mary did all of the work!!! Yes but you passed it on, didn’t you my friend! Making her and her artistry shine even more in the process! Patience, practice and perseverance are so important whether we’re learning to draw, learning to care for an elderly relative or learning to bake a decent pie. It feels to me as though the message of this post is just a variation on something I’ve always believed (well, at least for the last five or six years): the best way to learn to write is to write. The best way to learn to draw is to draw. The best way to to learn how to cook is to turn our backs on all those processed foods and bring home a danged carrot, for heaven’s sake! I love these quotations. I’m going to copy them into my little quotations file so I can read them again and again. Everyone needs reminding now and then! carrots? i immediately thought of carrot cake! why is that, because i did bring home carrots a few days ago and have done nothing with them. i was thinking, ‘shredded carrot salad’ or cooked in a stew…. but your comment made me think of carrot cake! This is a really nice post, and you are such a terrific champion of art and artists everywhere. I too think Mary did well. The patience over time paid off. Your talent for encouraging/inspiring others to express themselves artistically constantly amazes me. And, of course, you have so much fun! Ah …. perhaps there’s the answer!!! it’s really easy to encourage others! and yes, it’s fun! Lack of patience I realised is a fairing that has handicap me. So this post and the quotes are pertinent for me. This is an inspirational post with the example and appropriate quotes. what a gift it was to witness the weekly progress! i’m glad you enjoyed the summary!